Walk down the street in any Costa Rican city and there will be some, well, interesting fashion choices. But it’s not the Navajo print leggings, tube tops or flat-billed, gold-studded New York Yankees cap that’s at issue here: The Costa Rican Supreme Court upheld a public hospital’s right to refuse a man entry because of his beachy attire. The Costa Rican man, who was not named in the case summary, tried to enter San Rafael Hospital in Alajuela wearing a tank top and shorts. When a security guard turned him away at the door for violating the hospital’s dress code, he filed a complaint with the Constitutional Chamber of the Supreme Court, or Sala IV, saying that the guard abused his authority. 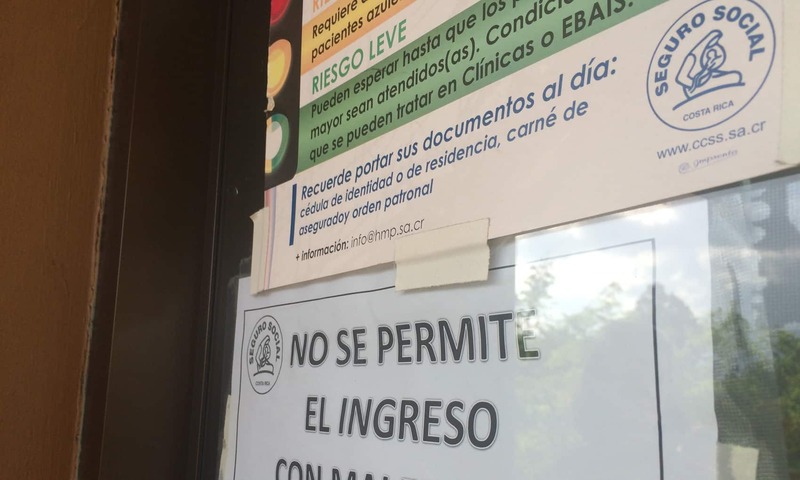 The complainant argued that the hospital, as part of the Costa Rican Social Security System, was a public building and did not have the right to limit his access based on his dress, and should remove the sign outside saying so. The Sala IV was not impressed with the complainant’s “sun’s out, guns out” argument and upheld the hospital’s right to impose a public dress code so long as the rules are clearly posted and applied equally to all. The Sala’s judges ruled that the dress code was not arbitrary or harmful to the complainant’s or other hospital users’ fundamental rights. The hospital can limit any “inappropriate clothing” like tank tops and shorts that could “threaten the order, hygiene or respect of those visiting the facilities or harm the image of the institution,” the judges ruled.